The company has seven full-time employees, and also employs many teachers all over Ireland on a part-time basis. Éamonn Ó Dónaill is originally from the Donegal Gaeltacht of Gaoth Dobhair. He spent six years (1996-2002) working as Director of the Department of Modern Irish’s Language Centre, UCD, and subsequently worked as a language consultant. Éamonn was editor of the online magazine Beo! from its establishment in 2001 until September 2007. He was also a director of Sult Ltd, the company that ran an Irish language club, Sult, in Dublin city centre between 1999 and 2007. Éamonn was on the founding committee of Raidió na Life, the Dublin-based Irish language community station established in 1992, and he spent several years broadcasting with the station on a voluntary basis. He has been language co-ordinator of two television series aimed at learners: Turas Teanga, which was broadcast by RTÉ in 2004, and Now You’re Talking, which was shown on BBC and RTÉ in 1995. He also wrote the books that accompanied those two series. Éamonn’s latest books are Gaeilge gan Stró! – Beginners Level (2011), Gaeilge gan Stró! – Lower Intermediate Level (2009) and Gramadach gan Stró! (2008/2011/2013) (www.siopa.ie). In 2010, Gaelchultúr published QuickGuide Irish Grammar, a glance card which Éamonn wrote with his colleague Helen Hegarty. 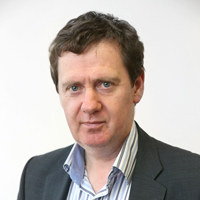 Éamonn has been Gaelchultúr’s Director of Education since 2005. Oisín Ó Doinn is from Raheny in Dublin. He attended Dublin City University where he undertook a BA degree in Business and Irish with Fiontar. He completed the degree in 2011 and was awarded first class honours. In the same year he won first place in an all-Ireland student entrepreneurship competition run by Enterprise Ireland and was also granted a Fulbright award to teach Irish in the United States. On returning to Ireland, he undertook a masters in Scríobh agus Cumarsáid na Gaeilge with University College Dublin. He earned a scholarship to undertake this course and attained first class honours in the degree in 2013. 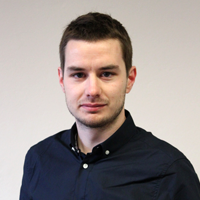 Oisín began his doctoral research at the end of 2013. His research focused on computer assisted language learning and blended learning. He completed his doctoral degree in 2018. During his research he conducted two studies in universities in the United States, in the University of Wisconsin Milwaukee and Carnegie Mellon University in Pittsburgh. In addition to this, he also developed digital learning resources for Irish language learners that are available for free online, including content for the Irish course on Duolingo.com. 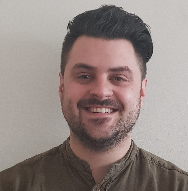 Oisín began working with Gaelchultúr as a tutor in September 2018 and he was appointed Teaching and Learning Manager in January 2019. Niamh Ní Chadhla was born and raised in Tallaght, County Dublin. She attended all-Irish primary and secondary schools, and then studied Irish and German for her degree in University College Dublin. She earned a scholarship from the Irish Department in the college to pursue a masters in Writing and Communications and graduated with first class honours. She was chosen for a translation internship by the Irish Language Unit in the European Commission, where her work involved translating legislation to Irish. Niamh achieved a diploma in project management with the Institute of Project Management in 2017. She was awarded first class honours in that particular course. Niamh has a keen interest in the media. She wrote for the Irish language weekly Foinse for some time and is now a presenter with Raidió na Life, the Dublin-based community radio station. 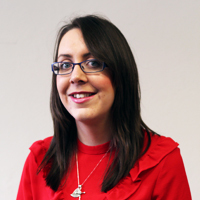 Niamh began working as administrative executive with Gaelchultúr in July 2015 and was appointed Academic Administrator at the beginning of 2016. She was subsequently appointed Planning and Project Manager, in July 2017. Derek is from Swords, Co. Dublin and his interest in the Irish language developed during his time at the local Gaelscoil, Scoil an Duinnínigh. He attended Dublin City University and was awarded first class honours in his degree, Irish and journalism. He earned two awards for his writing while acting as Irish editor of the university newspaper. Derek was President of the Irish Society during the academic year 2014/15. On completing of his degree, he spent two years working on each of Fiontar’s various projects, followed by a period as a part-time lecturer on the course he had previously undertaken. He subsequently spent some time working with the National Folklore Collection. Derek worked as Administrative Executive with Gaelchultúr from February 2016 until July 2017, when he was appointed Academic Administrator. Michelle is from Westport in County Mayo. She attended Acadamh na hOllscolaíochta Gaeilge, National University of Ireland, Galway, where she attained a degree in communications in 2015. She was awarded first class honours. While undertaking the degree, she also successfully completed the Dioplóma sa Ghaeilge (Diploma in the Irish Language) course at levels B2 agus C1. In addition to those courses, she completed a Digital Marketing and Social Media Diploma with the European Institute of Communications in 2016, for which she was also awarded first class honours. 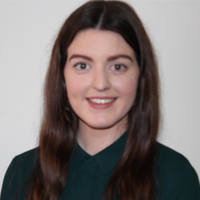 At present, Michelle is undertaking an MA in Media Management and Policy with the University of Ulster, and a course in Digital Marketing with the Digital Marketing Institute. She has gained valuable media and communications experience with TG4, Irish TV, RTÉ Raidió na Gaeltachta and BBC NI. She has spent time working as a production assistant, researcher and producer/researcher. Michelle began working as Marketing Executive with Gaelchultúr at the beginning of March 2017. Caroline Gallagher is from Kiltane, County Mayo. She moved to Dublin in 2012 to study in St Patrick’s College, Drumcondra, where she completed her undergraduate degree in Irish and English. She spent the academic year 2014–2015 on Erasmus in the University of Jyväskylä, Finland, where she studied communications, media and Finnish. Between 2010 and 2016, she spent her summers working as a supervisor and Irish teacher in Coláiste UISCE in her native county. During the academic year 2016–2017, Caroline undertook the masters in Writing and Communications in University College, Dublin, and was awarded a scholarship by the School of Irish in that institute to undertake the course. She worked as a tutor during her time in UCD, teaching Irish to undergraduate students. She completed her masters in September 2017 and was awarded a grade of first class honours. Caroline spent several months working with the Irish monthly Comhar, before joining Gaelchultúr in July 2017 as administrative assistant. 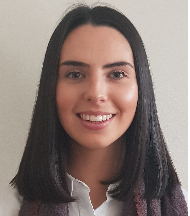 Ailbhe is from Artane in Dublin and she became interested in the Irish language while attending her local Gaelscoil, Scoil Neasáin in Harmonstown. She undertook her undergraduate degree, in Modern Irish and French, in Trinity College, Dublin. Ailbhe has a great interest in Irish folklore and the role played by women, particularly Saint Brigid and Queen Medb, in the tradition. As part of her degree she wrote a thesis entitled Tuiscint ar Mhná i mBéaloideas na hÉireann (The Perception of Women in Irish Folklore). She graduated in 2018. She spent some time working in AIB as a Customer Advisor, where she enjoyed interacting with customers and assisting them. She began working with Gaelchultúr as an Administrative Assistant in September 2018. Ailbhe spent a summer volunteering in Mauritius, teaching English to local children and improving her French. She has a keen interest in ballet and spent 17 years in training. During that time, she completed all grades in the Royal Academy of Dance. Ivana Varguličová hails from the Czech Republic and has worked as a computer programmer with the Army of the Czech Republic and the software company Tesco SW. Since moving to Ireland, Ivana has been working as a freelance computer programmer/website designer. She was employed by Abacus Communications on the Let’s do Business project - a series of e-learning courses in the field of business English. 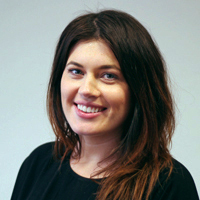 In recent years, Ivana has worked for various companies, including Gaelchultúr, Dúrud and Cois Life. She has done technical work on www.siopa.ie, www.clubleabhar.com, www.ranganna.com, www.gaelchultur.com and on the websites of the companies mentioned above. Ivana is currently undertaking a degree in Mathematics with the Open University.